Good morning all! 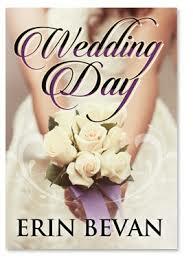 Today I have Erin Bevan and her book, Wedding Day. Hi Erin! I’m so glad to have you here today. So your book is called Wedding Day. Can you tell us a little about it? That sounds pretty intriquing. And like a fun read. How about a small taste? Oh my…I think I’m falling in love with this book already. Do you have a particular book you remember? Like the first one you ever read? Well, this is a tricky one because I can give you all the ones I had to read in school, but to me, those don’t count. I had no desire to read those books, so the first book I picked up because I wanted to read was something by Nicholas Sparks. I think The Rescue. From then on, I was hooked. I love Nicholas Sparks. Curling up with one of his books and a cup of hot cocoa or coffee…perfect. Hey, do you drink coffee? How do you take it? At home, I put honey and almond milk in it. From Starbucks, I get an Iced Americano (depending on the day depends on the size, usually Grande, sometimes Venti) with two percent milk and two pumps of classic. Yum. Other than coffee, do you ever have a drink to relax or unwind? Pick your poison. What is your favorite alcoholic drink? I can’t say I’ve ever tried that one but it sounds good. Hey, I almost forgot, it’s Saturday. What are you. going to be doing tonight? After putting my kids to bed, I usually go to bed, too. Boring, I know! But, despite the day, I’m pretty tired chasing everyone around so I sleep! I hear you there. I’m actually at work right now. Just for fun, what is one job you would never want to do? Can you give us a little background on yourself? I was born and raised in Southwest Arkansas. I spent my teenage years working for my aunt at the local gas station flipping burgers and making milkshakes, dreaming of the day when something better would come my way, and it did in the form of a five foot six, one hundred and fifty pound engineer. Fast forward ten years later, I found myself stuck inside an apartment in South Korea while my daughter went to preschool and my husband went to work. Alone and unable to speak the local language I turned to books for a friend. After reading a few hundred in such a short time, I decided to try my hand at writing one. Yeah. Well that first one sucked, but by the fifth and sixth book, I started to get the hang of this writing thing. Getting the first contract in the mail was a dream come true. Now, with three babies at home, I squeeze in stories one word at a time, one sentence at a time, one day at a time. It’s hard to do when you have a family but you definitely prove it can be done. What about now? What’s your home life like? 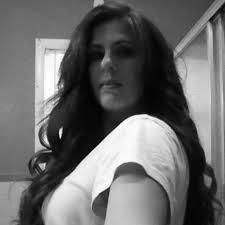 I’ma full time mom, a full time wife, with a little writer sprinkled in whenever I can get the chance. And the laundry? Well, it’s best not to open the washroom door! LOL! Erin, I want to thank you again for stopping by today. Before you go, where can we reach you? And buy your books? Hello all. 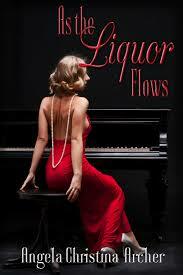 Today I have Angela Archer and her new book, As the Liquor Flows. Angela, the cover of your book looks incredible. What can you tell us about it? Black Tuesday, October 29, 1929, the day the stock market crashed, and the day Evelyn Ford will never forget. With the untimely death of her parents and the loss of their only income, Evelyn, and her brother, Frank flee to a make-shift hovel built in Central Park. After Frank mysteriously goes missing, bare cupboards force Evelyn to seek employment anywhere she can find work, even if that means working at a burlesque theater. Catching the attention of Don Vincent Giovanni, a Kingpin in the New York mafia, Evelyn discovers that Frank is serving time in prison for running hooch and he owes Vincent a lot of money. 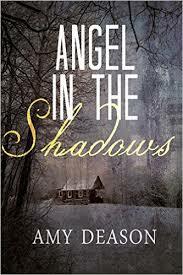 In order to pay off her brother’s debt, Evelyn is thrown into the world of mobsters and bootlegging. Between running hooch all over the city of New York and trying to save her brother, Evelyn finds herself drawn to Max Catalano, Vincent’s Consigliere. Even with secrets of his own, he’s the only one she can trust when she entangles herself herself in the middle of the New York mafia crime wars. Wow! That sounds amazing! A definite must read! Thanks! I really enjoyed writing it. What can you tell us about you? I live on a ranch with my husband, two daughters, and many farm animals. A ranch! How cool. Have you always been around that kind of lifestyle? Well, I was born and raised in Nevada, and grew up riding and showing horses from hunter jumper, English equitation, western pleasure, trail, and halter. While I don’t show anymore, I still love to trail ride my paint horse, Honky. 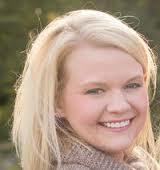 In December of 2007, I and her husband moved to Oklahoma. From a young age, I always wanted to write a novel. 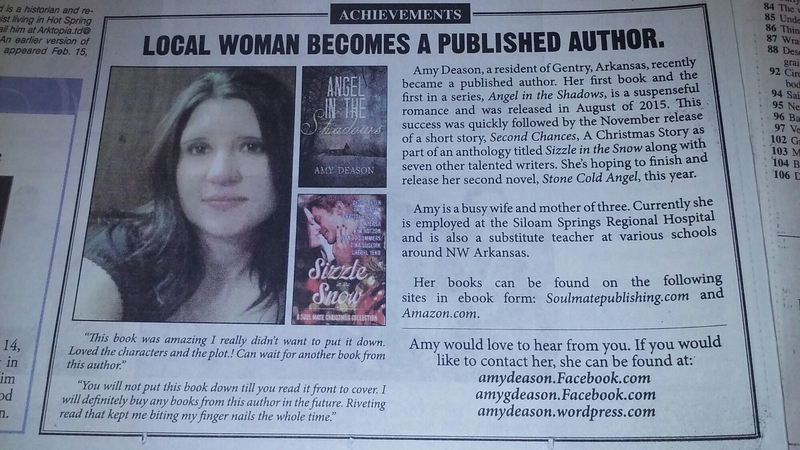 However, I never believed I could write anything well enough for a publisher to even consider me. Every time the desire flickered, I shoved the thought from my mind until one morning, in 2009, I awoke with the determination to follow my dream. It’s a good thing you did. Now you can do what you’ve always dreamed of. What is your favorite candy? The one you couldn’t live without? Skittles. Especially the Wild Berry flavors in the purple bag. Coffee drinker? How do you take it? I’m ridiculously addicted to coffee and I’m a “hot blonde with sand” girl (lots of cream and sugar). Where can people find you and your book? Thank you so much for stopping by. I really enjoyed hosting you.